Singing Is My Livelihood | What's Your Livelihood? I earned my vocal performance degree with the goal of being an opera singer. A month before I was to begin grad school I took what would become a seven-year detour and I stopped singing. It’s one of my greatest regrets. Looking back, I think I was meant to veer off course so eventually I could better find my way. A few years after I married and moved to Omaha my husband encouraged me to audition for Opera Omaha. I landed a spot on the chorus roster and met singers, actors, and other artists in our community. I was home. Today, I still sing with the company. Yet, I’ve never wanted to be classified as one type of a singer or be rooted in a single genre. I’ve found a niche as a cabaret singer and I perform across the Midwest. I’m drawn to cabaret because of the intimate connection with the audience and the artistic freedom that comes with this style of performance. There are no rules, no confines. I give life to the song as I see it. Singing is about communicating the human experience in the given moment—revealing strength, weakness, vulnerability, joy, regret, raw emotion, and everything under the sun. It means finding the truth within me so I can tell the story with honesty. In recent years I’ve reignited my drive to see where my career will take me. I’ve recommitted to intense study and to exploring ranges and vocal colors I didn’t know I had. I find the preparation as rewarding as the performance itself and that embracing new challenges fearlessly with my arms wide open is what I need to stretch and grow. Nearly 18 months ago, I took a leap into the unknown to begin recording my first solo album, Let’s Fly, a collaboration with J. Gawf of Opera Omaha, my vocal coach, mentor, and friend. It’s taken me years to realize that what I have to offer as an artist is enough – a voice, heart and soul that are uniquely mine. And I’m grateful that I’m finally finding my way. 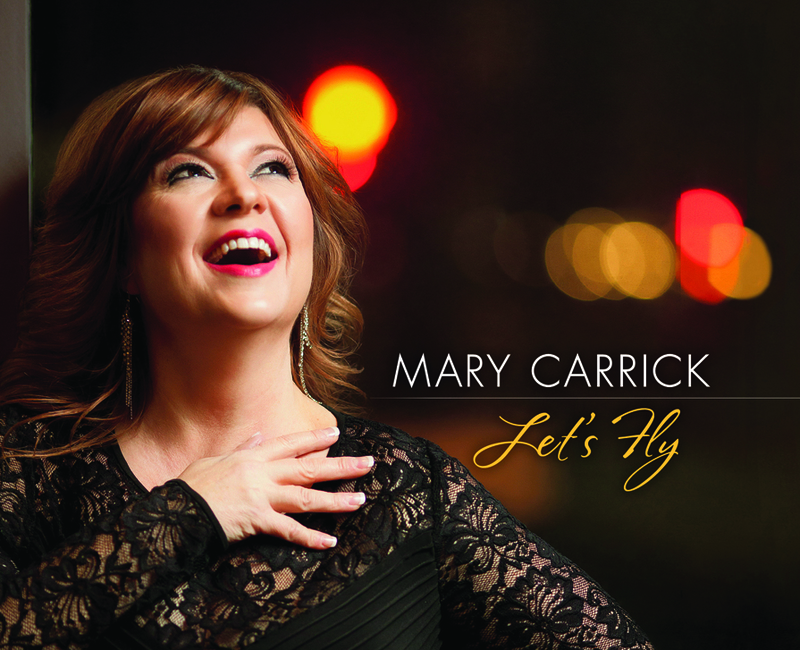 Mary Carrick is a vocalist who is equally at home with cabaret, musical theater, opera, jazz, art song, contemporary musical styles, and as a stage actor. She released her debut album Let’s Fly in May 2014, a collection of reimagined classic and contemporary songs co-produced with J. Gawf, resident music director of Opera Omaha. Mary tours the Midwest as a singer and has performed across the Omaha community with Opera Omaha, the Omaha Symphony, Rose Theater, Omaha Community Playhouse, along with other theaters and for many events. She made her Chicago cabaret debut in 2012, was a participant in the 2013 Midwest Cabaret Conference (Chicago), and has studied with Tony award-winning singer and actress, Betty Buckley. In 2013 she received the Omaha Entertainment & Arts Award (OEA) for Best Supporting Actress-Musical and has been honored with several Theater Arts Guild Awards and numerous award nominations for her work. She is a Touring Artist with the Nebraska Arts Council. Mary will sing the role of “Giovanna” in Opera Omaha’s 2014-2015 season opening production of RIGOLETTO. This entry was posted in Culture, Music, The Arts, Theater and tagged cabaret, opera omaha, singing by Nebraska Cultural Endowment. Bookmark the permalink.